2018-2019 Opening Night Roster - Dedicated to BlueAdams! Broken, But Learning to Fly Again. Ok, with the roster almost set (barring a trade for a defender) give us your best guess at what the opening night roster will look like and what line combos you'd like to see. It's a given that we'll get Larkin signed, I am going with a 2 year $4M bridge deal. Unfortunately the chatter about Z is getting too frequent, so I have to go with he is done. So even if we signed Also, just because I have Kronwall listed in the #7 spot, does not mean he will be scratched every night. I just put him there because with his knees there is a good chance he may the guy rotating in and out more frequently than Jensen or Hronek, but he may play 80 games, who knows with him! I believe that Hronek has passed Hicketts on the ladder. From things I have read, that is what I feel. "Rasmussen, to me, when I went out and watched him, if he does what I think he can do and that's make our hockey team, he's got a real chance to make our power play better," Blashill said. "He's an excellent, and I mean excellent, net-front presence guy with his ability to tip pucks, his ability to score in tight areas, so we should be excited about that. He wants to do that, that's where he wants to be. I definitely don't think Z is done, despite the wild speculation on Holland stating the obvious. The NHL ruling that Zadina was on loan to JRs probably hurts his opening night chances imo (assuming no trade to move out a roster forward is made) because going to the Griffins will still be seen as a positive step for his development. But I could see him quickly playing his way out of Grand Rapids. So I'll leave him off of the opening night roster but expect him up sooner rather than later. Also, I think Hronek will outplay Jensen and Hicketts for a spot in the lineup. Hicketts will start in GR (waiver exempt) and Jensen will be the extra defenseman until injuries hit. I'd bet on it. Zetterberg playing that is. I like these lines, but barring a trade or injury I think Zadina will start in GR. I also don't see Hronek being the 7th defenseman. Unless there's an injury on defense, I see Hicketts as the number 7. Hronek is much better served playing big minutes in GR. Hronek passed Hicketts on the depth chart a long time ago. That doesn't mean he'll be on the opening night roster as the 7th defenseman though. Unless there's an injury, I fully expect Hronek to start in GR. Don't get me wrong, I don't want him to go. If he plays, that just means we'll have to waive Frk and we should still be good cap-wise if we can get Larkin to a friendly bridge deal. If Zetterberg plays (I think he will), and assuming there are no trades or injuries prior to October 4th, I think Zadina will be sent down, not Frk. Maybe Hronek forces Jensen to be 7th D. If Hronek makes the club, it won't be to be 7th D, that I agree with. But if Blashil "wants" him there to run the PP, then he won't be 7th D. That'll make Jensen to rotate with someone. We can't keep saying the kids are ready, then send them to GR and believe that's a positive thing. Zadina anywhere but Detroit is not a positive. (not saying it he won't be in GR, because that is typical Holland(spout off about promotions, change and deserving kids, but demote them anyhow,) its just not a positive thing.) I agree that the Vanek signing was a huge indicator that Holland is almost certain Z is done. What may happen is Zadina and Z start in the AHL/NHL respectively and then by December Z can't go anymore and Zadina is here for good. That is a more sensible scenario than Z being done outright already. But it does concern met that the team doctors are not able to say he is clear to play as of yet. Anyhow, we'll see soon enough! If Z can play, he'll play his heart out until he cannot play anymore. You agree with who? I've never heard this suggested, and don't think signing Vanek in anyway indicates Z is done. What did the team doctors say? It's in the link I posted, but here is the comment on Vanek, just saying that his signing makes a little more sense now, if indeed Hank may be done. Also earlier in the article it states that team doctors are not ready to clear him yet. That is why I posted links to what I read. It does kind of bring more light to signing a forward we really didn't need. Insurance. I'm not sure Holland is willing to part with what it would take to acquire a top defender, so I don't think signing Vanek was an indicator that a trade is coming. I think it was Zetterberg insurance. Makes more sense than Holland getting Faulk, Trouba or Krug. Hope I'm wrong, because of D needs an upgrade for sure. Umm...this Wings team right now, I don't think there is any case to be made that Vanek was a forward we didn't need. This team needs upgrades up-and-down the roster if we plan on competing at the highest level. I'm liking where the direction of the roster is headed (especially in the past month), but we still have a long way to go. It does kind of bring more light to signing a forward we really didn't need. Insurance. DSR seems pretty certain he's finished... I don't know if I buy that, better sources arn't reporting that to the extreme they are. 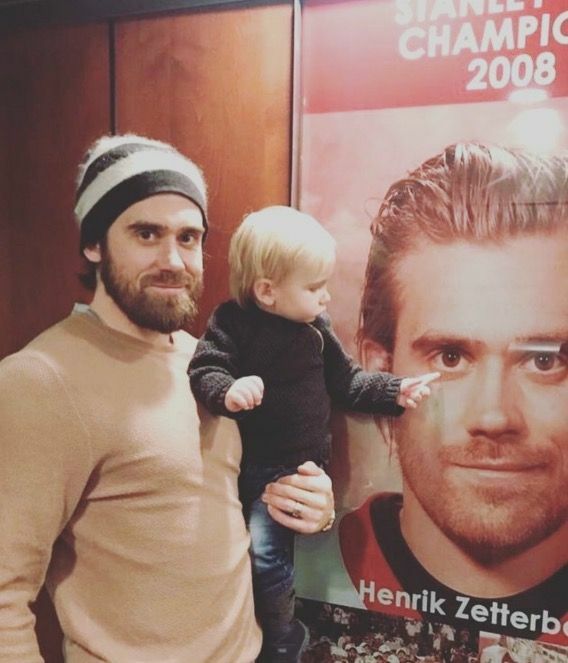 I think Zetterberg will definitely start and play most of the season, but won't be surprised if his bad back suddenly resurfaces around February if we are out of the playoff picture. Maybe if they had Sakic. When I end up impregnating and making one that is.